Is your business in hospitality sector in Kamloops? 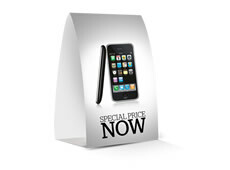 Table tents are ideal product to promote and advertise your products and services to customers in Kamloops. Print Factory Kamloops offers a wide range of table tent printing and design services to its customers in Kamloops. We love printing and we are very passionate about it. Get the most from table tents for your business in Kamloops by making sure they look eye catching and contain enough information about product and services you offer to customers in Kamloops. Our Kamloops customers can order as low as 50 table tents per order, which allows them change specials on a monthly and quarterly basis. Not sure how to design table tents for your business in Kamloops? Our creative and experienced design team is always ready to design them for you. If you still have questions about table tents, prices, turnaround times and options for Kamloops and area, please don’t hesitate contacting us. We are always happy to assist you over the phone, in person or via email.